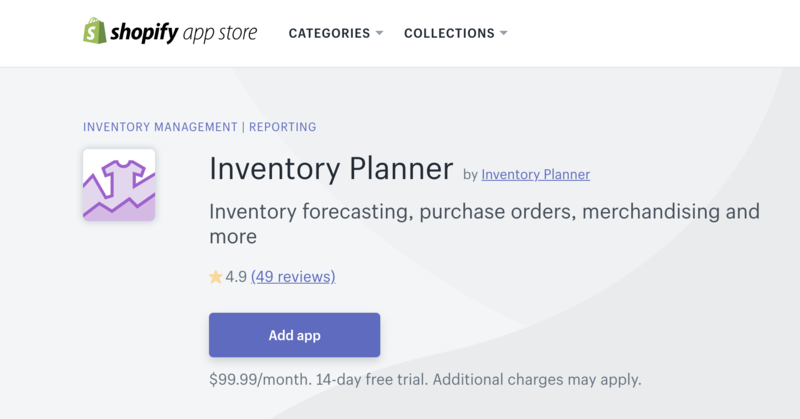 Inventory Planner empowers Shopify merchants to forecast demand, manage purchase orders, view inventory needs for multichannel selling and more! View sales and product performance across channels including Shopify, Amazon, and many more. See replenishment suggestions for your products. Order the right amount at the right time. 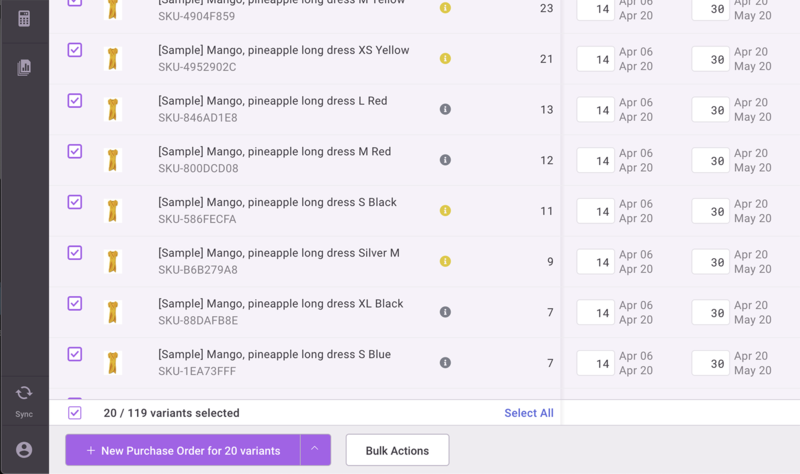 Use customized replenishment recommendations to easily create purchase orders. Make fast buying decisions by viewing forecasted profit. Clearly see your margins. See inventory needs based on your revenue goals for the coming year. Customizable reports allow you to see the metrics that matter to you. Compare week, monthly, or quarterly performance to see trends in your store. Start your free trial by connecting your store in one click. 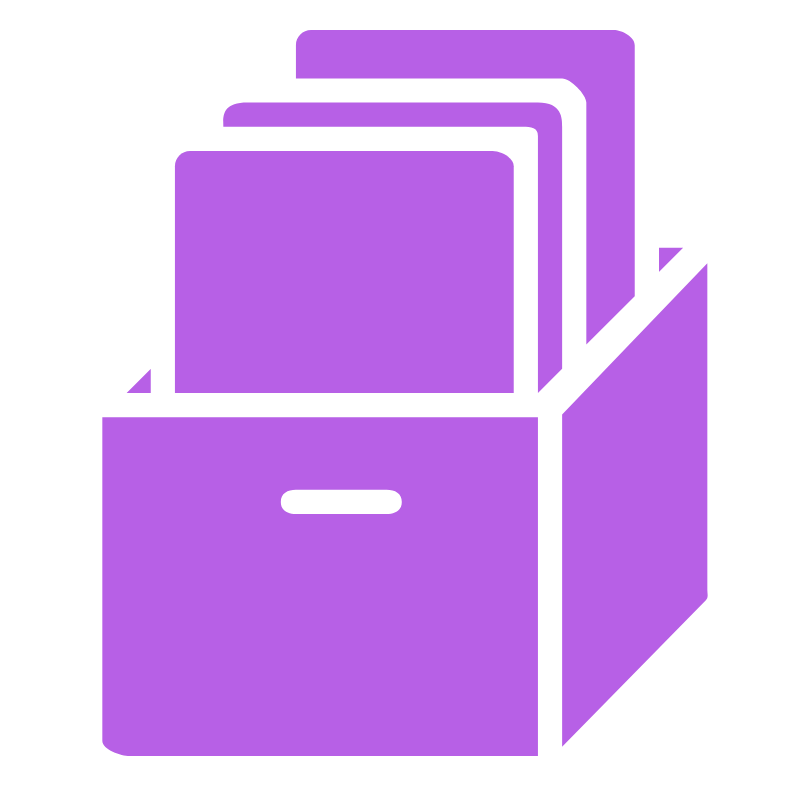 Sales history and product information flows to Inventory Planner automatically. 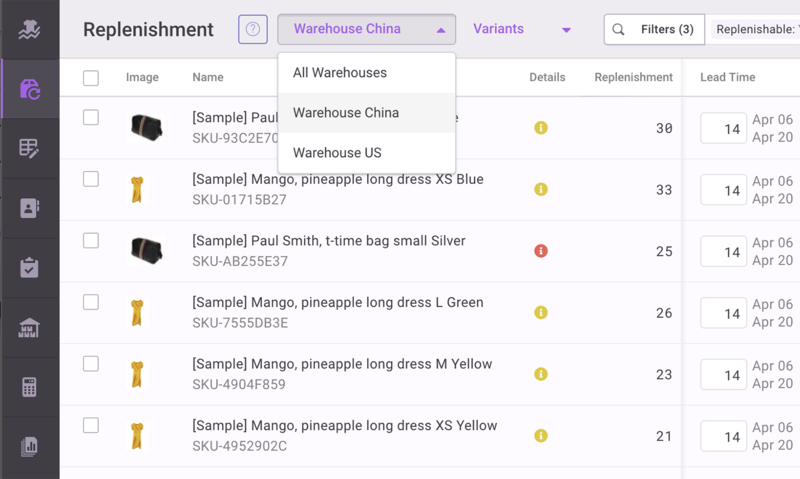 Use replenishment suggestions to create purchase orders or warehouse transfers to other locations. Select several products in the Replenishment report and use bulk actions to generate the purchase order with these products. When you're ready to place an order with your supplier, Inventory Planner can create a purchase order ready to email directly to your vendor. 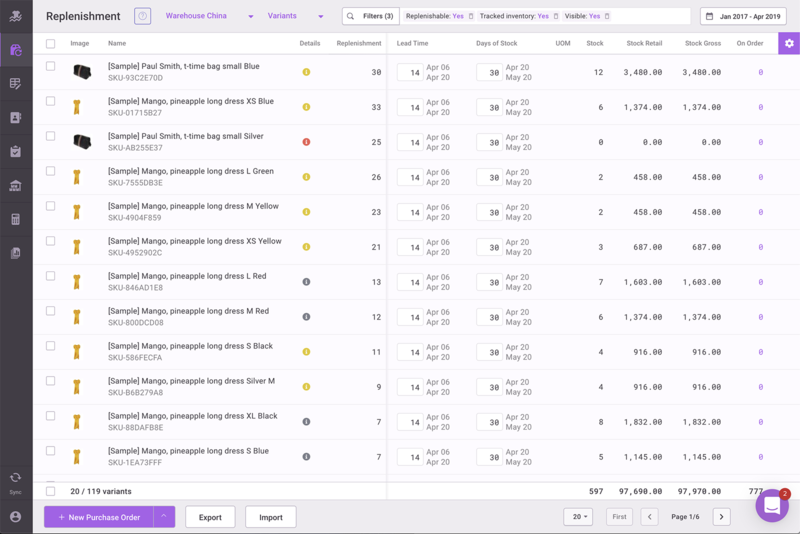 Using Shopify multi-location inventory tracking, you can see stock levels and needs by warehouse. Easily create warehouse transfers in Inventory Planner to move overstocked items to a different location where they are needed.